Discover How To Start Creating Tons Of Quality Content And Your Own Info Products Month After Month! Do you want to start creating your own new products for your own business EVERY MONTH? Do you want to have so many ideas for content that you never run out? 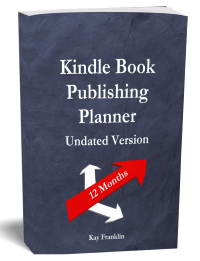 Do you long to have your own Kindle book on Amazon? What if you knew how to create a brand new product each and every month and launch it to your list? What if you could use that product and turn it into lots of content as well? How would your life and your business change if in 12 months you had 12 products of your own, 12 products that you could promote to every new person who becomes your subscriber? How would your life and your business change if in 12 months you had hundreds of articles, videos, podcasts, slide presentations and more, promoting you and your business all over the internet? Is this something you really wish you could have? If so, then you’re like I was! I started doing affiliate marketing. I wanted my own business but I ended up building other people’s businesses! I wanted my own customers but I ended up giving them to other people! Did I make any money? OK. So I made some money by being an affiliate and I still have websites out there today bringing me in affiliate sales but I wanted a business that I had control over. My friends and family didn’t really understand affiliate marketing – why sell other peoples products – can’t you create something yourself? If only I could sell my own stuff….. I have learned how easy it is to create a new training product every month and use it for driving traffic too! Imagine that! Products and content for traffic all at the same time! You see, it doesn’t matter how many subscribers you have, or how much traffic you are generating, or how great your products or sales pages are….you are only as big as the number of products you have. If you only have one product – then your subscribers can only buy one product from you. End of story. But what if you have 6 or 12 products? Now I’m not talking about 12 x $10 dollar products – that’s limiting your business too. I’m talking about some lower priced products but mostly high priced products and coaching programs. From what I have seen and experienced myself, one of the biggest challenges faced by beginners or newbies trying to build a business online is going from making a small amount of money and therefore only having a hobby to building a real sustainable business online and earning a full time income. To own a business like that you really need to produce your own products so that everything you do is always building and growing your own business. So Are You Ready To Start Building A Business Like That? You see, until someone shows you how, the whole concept of producing products creating tons of content is too daunting – something that the average marketer believes is beyond their reach. Not with my product and content creation method anyway! Have you ever tried creating your own product? Or tried to get huge amounts of content on the internet to market your business? If so, how long did it take you? Perhaps it took you 5 months or even a year to finish your first product, and you simply didn’t have any more time or enthusiasm left for content marketing. 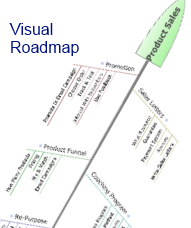 How could you possibly contemplate having lots of products AND content? Perhaps the thing that has held you back in the past was the thought that no one would want to buy your product because you just don’t have the confidence in your ability to create something of value? I felt like that. I questioned my own knowledge – I knew I could teach, after all I am a qualified teacher – but do I really know enough to show someone else what to do? Let me tell you what I did – and even if you don’t read anything else on this page I really hope you will take on board what I am about to share with you and realize your very own potential by doing exactly what I did. I went to the library and I took out 5 different books about various topics in my niche. I sat down and read them and do you know what happened? After reading just a couple of the books I realized that in fact I knew an awful lot about my niche – in fact my knowledge was more up to date! And if they had a book in my library about this then I could definitely create my own version that’s better! Go on, try it – if you doubt your own knowledge this will give you the evidence and confidence you might need to begin creating your own information products. Anyway, once I knew I had the knowledge I then tried to find a way to create products that would fit in with my ideal business model – working only a few hours a week – a business that fits in with my lifestyle rather than the other way round! So I needed a way to create high quality products quickly! Create Products and Content At The Same Time! You bet! I found it – and now I’ve done it! So I’m now giving you the chance to learn from me just how you can do the same. Step by step easy instructions for creating your next product or perhaps your very first product in literally days instead of months. Leveraging the work you’ve already done to create content for marketing and bringing visitors to your site. Let me ask you…how would it FEEL to you if you could create a new product NEXT WEEK? And you could launch it to your list the following week? And then reuse it for content marketing? Imagine how it would feel to finish a product – and do a product launch – in just 2 weeks. Then imagine how it would feel to create another product…easily and quickly, just like the first one. And imagine doing that several times, so that you have a complete product funnel in just a few months. Not only that you would also have plenty of content to distribute online – videos, slides, podcasts, articles, blog posts and so on! How would that impact your authority and visibility online? How would it impact your sales if you had a complete sales funnel in just a few months? I know it is possible because I have done it. And if you’ve been on my list then you know I have! I will literally take you by the hand, and give you, step by step, my exact formula for creating at least one product each and every month and using that for producing content online. In fact you could do it the other way round if you wanted to: create the content and then package it into a product! By the way I want you to know that my system is simple. So simple, in fact, that if you do as I teach you to do you are going to be literally AMAZED as you create lots of content, product after product and start selling them to your list. Create one product first and then sell it to your list. THEN – create your second product – and sell it to your list. THEN create a 3rd product (probably your coaching program where people pay you every month for lessons and some access to you) – and sell it to your list. If you have a product funnel in place whereby your subscribers go from one product launch to the next you will have much more success. Of course – you can create 3 products in your first 3 weeks – it really is up to you! Just think how much content that would provide you with too – if you know how! Perhaps you’re thinking – it sounds great but it is highly unlikely that I can create these products that fast. There must be a catch somewhere…. And I can understand why you might think that – because product creation is hard work isn’t it? Well, there is one huge difference in this system I am going to teach you: by creating products in the way I will teach you, all distractions are automatically removed. You will be focused and know exactly what you have to do. The hard bit is removed – wondering what to create, how to create it, getting down to doing it – editing, tweaking, etc. – all gone. That’s why this method works so well. And until you try it yourself you really won’t appreciate how easy it is! And this is the exact same method I used to create more than 6 different training programs and a coaching program in just 3 months! How to create a coaching program in just one week…and begin enrolling clients the very next week! and that’s just for starters! 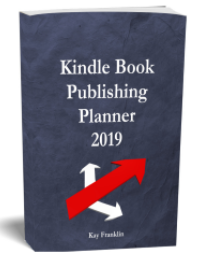 There’s plenty more too like step by step Kindle publishing guide, a video showing you how easy it is to create kindle book covers, never ending supply of content ideas and tons of content leverage goodies…I’ll get to all that in a minute! 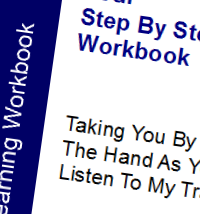 This workbook will really empower you to move forwards faster, to start creating multiple premium products of your own. Every task is broken down into simple steps and you will see at a glance what you need to do or work on. 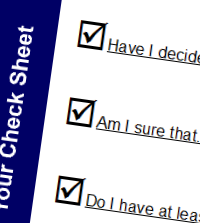 It makes creating your own information products a really easy process! You’ll experience a huge sense of accomplishment and confidence as you finish one simple step and proceed onto the next one. And every tick represents another step closer to your ultimate goal of building your own business, with your very own quality information products! Stay motivated by the sight of your progress and you’ll soon complete each product creation step far faster than you thought possible. And there is even more help for you! I am also throwing in these extra resources so that you have absolutely no excuse but to succeed! Well, if you struggle to come up with ideas then I have that sorted for you as well! I would never have believed it possible that I could become so innovative – I have so many ideas now that I’ve discovered exactly how to be creative! And I’m letting you in on that too! I have produced a training on how to improve your creativity so that you can end up with an endless list of ideas for content! You’ll Be Amazed At How Easy It Is To Come Up With Brand New Content Ideas Every Day! I even provide you with a homework book to make sure that you have no excuse but to start developing your innovative ideas – becoming more like an entrepreneur! To make sure that this is the best ever training for creating products and content I have also included a complete resource guide on how to leverage your content, turn it into different formats and a whole load of sites you can submit your content to! Six videos showing you step by step exactly how to re purpose and upload your content to You Tube and Slide share. So, let’s just stop and take it all in! I am offering you everything you could possibly need or want to build your very own product creation and content marketing machine. That’s a huge amount of value. 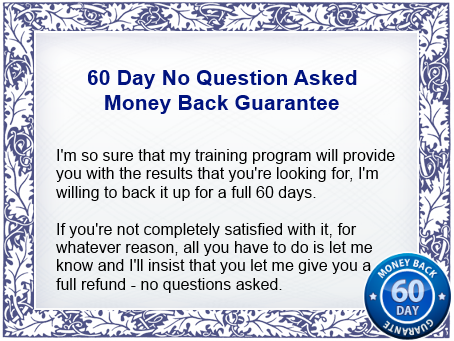 Just think of the results you will see – guaranteed results if do exactly what I show you! So, are you ready to receive access to my system that will completely revolutionize the way you create products and content, to change your life? Do you want to see exactly how I create products – and product funnels – that consistently build trust and make sales? Are you desperate to start creating tons of content and never run out of more ideas? …every day you scratch your head thinking of what you could write about on your blog or some other website – you are losing money. You see, if you had 3 products, 5 products, or even a sales funnel with 10 products in place right now – you would be making a whole lot more money online, wouldn’t you? If you had over 500 articles online, 50 videos and 50 slide shares you would be getting loads more traffic, wouldn’t you? So for every day you wait not knowing how to go about it – not being able to do implement it, you are leaving money on the table. I want you to start building a real business for yourself quickly and you can by following my training. So I am not going to hype up the value for my system…if you think about it you know what it would be worth to you. You know what your situation is right now in terms of your own product funnel, the content you have and the difference it would make to you if you could do the same as I have – to have over 6 training programs and a coaching program in just 3 months, plus lots of content all over the internet in various formats! If my price is worth it to you…then I suggest you get this TODAY and start creating your first product and content tonight! P.S. If you have many more products to sell than your competition, you can make a profit much easier than they can…because your subscribers are able to buy multiple products from you – because you have them. If you have more content online than your competition then you’ll be able to drive more traffic than they can…because you will be more visible and more easily recognized in far more places than they are. Wouldn’t you like that? I intend to continue building my product funnel and content over time……I will continue to work quietly at home, creating products, coming up with ideas for content and providing great value to my subscribers, because I can create products and content so quickly. And I love doing it too! Wouldn’t you like to be able to create your own products and content like I do? Pingback: Are You Getting The Right Message Across?